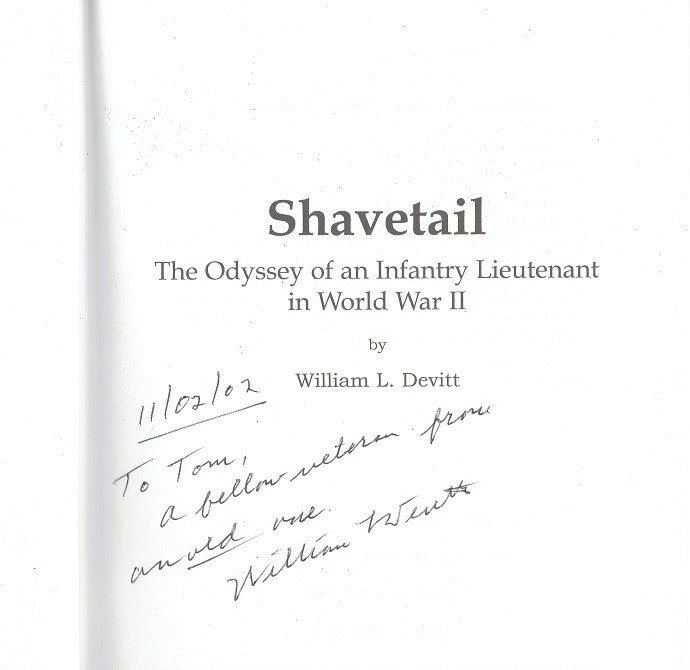 Shavetail: The Odyssey of an Infantry Lieutenant in World War II by William L. Devitt. 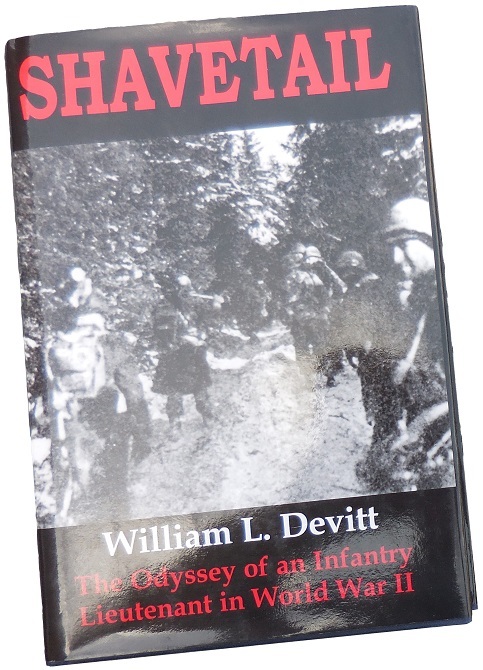 From the title one immediately understands this is about Bill Devitt's experiences and memoires in World War II, but the book is so much more. It is a brutally honest recounting of what war is all about. From his criticism of the decisions made by senior leaders to insights into his own perceived weaknesses and misgivings, Devitt tells a tale that all who have experienced combat or the fear of battle can empathize with. This is no old soldier's tale, but a reflection by a true "shavetail" on his experiences in the profession of arms. It is an excellent book for anyone with an interest in the history of World War II, and especially in the 83rd Infantry Division. My book is a first edition, May, 2001. Brief inscription to former owner and the author's signature written on the title page. Find more info on William L. Devitt on the page "THE MEN OF THE 83rd"